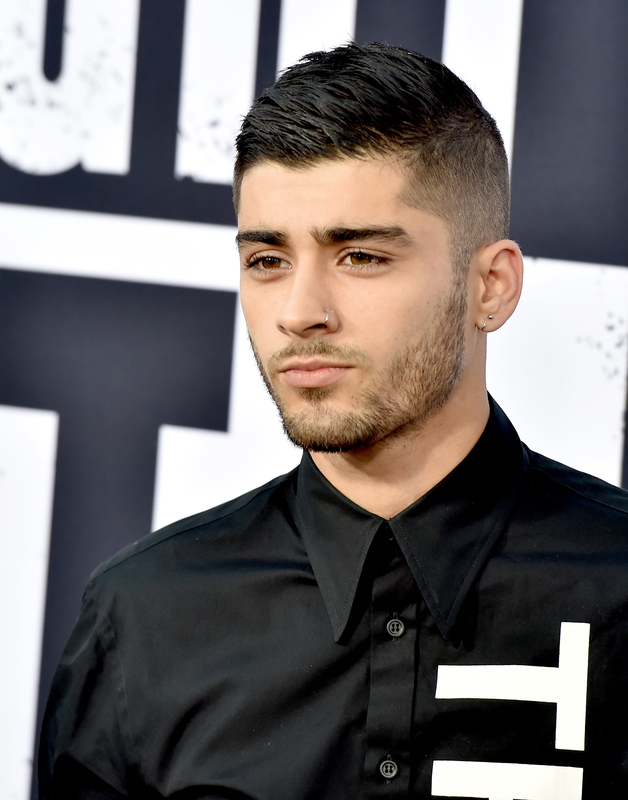 Everyone stop what you're doing, because Zayn Malik posted a new photo to his Instagram account and it is a doozy. Did I mention that I can sometimes be prone to exaggeration? That being said, the aforementioned photo is still causing quite the buzz, being that the former One Direction member is seen getting super close with an as-of-yet-unnamed female. Showing off a truly on fleek mural of tattoos, Malik chose an artistic black-and-white filter for the post, where he is pouting his lips whilst cheek-to-cheek with a blonde beauty. There is no caption for the photo, which only adds to its mysterious allure. In August, Malik confirmed his breakup with Perrie Edwards, adding to the string of celebrity splits that kept fans reaching for the tissues all summer long. Does Malik's new post indicate that his heart is not only on the mend, but open to somebody new? More importantly, who is this woman whose proximity to Malik's perfectly groomed stubble makes me want to vicariously live through every second of her life? According to the legion of comments the photo received, all signs pointed to the woman in question being none other than Gage Golightly from MTV's Teen Wolf. But not so fast! Golightly was quick to quash the rumors with her own Instagram post. Well, so much for that. Not only is the woman's identity still a mystery, but so are the origins of the photo. While it is easy to jump to the conclusion that Malik and his female companion are romantically involved, there could be a legion of reasons for the post that are anything but amorous. I, myself, like to get close while taking a group photo with completely platonic male friends, because how else are we both supposed to fit in the photo? The screen is only so vast. Just for fun, let's ponder a few possibilities about what this photo could mean. Has anyone noticed the film noir elements that have completely enveloped Malik's Instagram account? I have! It's like freakin' poetry over there, and I can't get enough. Perhaps the photo was meant to depict some obscure theme that is over my head, because I'm apparently not that deep [*insert sad-faced emoji here*]. All of Malik's posts are great, but they are decidedly lacking in the ussie department. This woman could be a friend who is an absolute pro at ussies, and decided to offer up her help. I'm all for the smoldering check-out-this-tattoo-on-my-hand selfies, but a more unwitting display really has an effect. With Malik's arm draped loosely around someone, the tattoo seems to emerge prominently from the other elements of the photo like a rainbow spearing elegantly through a canopy of dark clouds. Is this woman a songwriter? I don't know, but she could be. Perhaps this woman was collaborating on a truly intense ballad with Malik, and the two decided to break up the monotony with a coquettish photo. Perhaps the chair that Malik and the female in question are sitting on is really, really, ridiculously comfortable. There was initially only supposed to be room for one, but both parties wanted to sit in it. After a brief squabble ensued, they decided to simply huddle on the glorious upholstery at the same time, and snapped a photo to celebrate their truce. Obviously, they would have no other choice but to squeeze in tightly beside each other. There is always the possibility — until proven otherwise — that the woman is poised to be Malik's new bae. If this is the case, congrats to the happy new couple! Will we ever know the true origins of this cryptically un-captioned Instagram post? Maybe, maybe not. I, for one, will be staying tuned.